Canada is a perfect and dream destination for every aspiring candidate who likes to settle abroad. Moreover, it is famous for its hospitality, great work environments, a vibrant culture and top living conditions. Canada receives several immigration applications from aspiring immigrants. The Nova Scotia Immigration Nominee Program is unique and here the candidates can apply directly to the Immigration Office of the province. Nova Scotia is a beautiful and vibrant province of Canada, which is famous for several groups of islands. It also serves as a coastal retreat. Halifax, Its Capital, has a high standard of living. 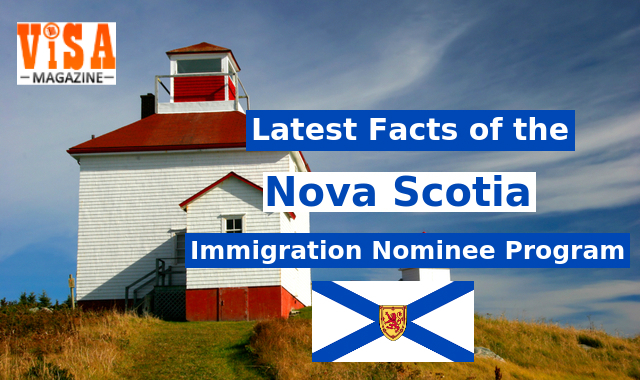 Furthermore, the Nominee program is similar to the Express Entry System but has that advantage that candidates are eligible to directly apply to the Office of Immigration in Nova Scotia. The authorities select candidates from the E.E. Pool. Candidates must have one year of paid work in an opportunity occupation listed by the Immigration Office. There are a few high profile designations in it. Like the Canadian EE system, candidates must satisfy the eligibility criteria to have a good chance of selection. The educational documents need the approval of an assessment body. They also need to get A CLB 7 score and have one year paid work experience in the applied work. The candidates score extra points when they accompany their spouses. The processing times for N.S.N.P. Application are between three and six months. Finally, upon selection the candidates have to apply for PR within six months of receiving the I.T.A. We, at Visa Magazine will always provide the detailed information regarding such programs.